Great conditions around Alice Springs had led to profusely flowering shrubs and wildflowers and associated birdlife. It took no time at all to track down a party of Dusky Grasswrens which provided photographic views, while flocks of Budgerigars wheeling through the skies with the MacDonnell Ranges in the background, provided the ultimate Australian birding experience. 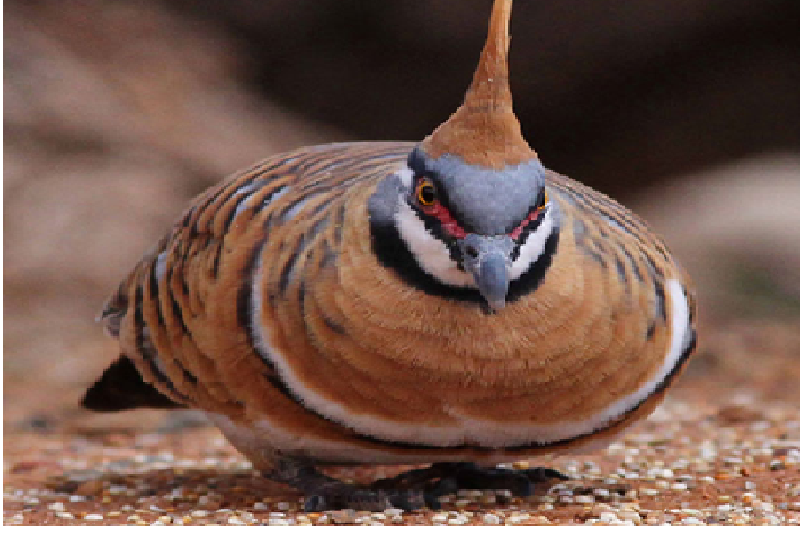 Mark guided the tour to some spinifex areas surrounding Alice Springs where great views were had of Spinifex Pigeon and a number of Cinnamon Quail-thrushes, while also catching up with Slaty-backed Thornbills. Grey-headed Honeyeater, Red-browed Pardalot and Crimson and Orange Chats were some of today’s other highlights. A sumptuous lunch in the botanical gardens yielded Western Bowerbird and Grey-crowned Babbler. Further spinifex-bashing today provided good views of the tiny and shy Rufous-crowned Emu-wren, the equally elusive Spinifexbird and more Dusky Grasswrens while the nomadic Pied, Black and White-fronted Honeyeaters were out in force. The group had distant views of Painted Finches in the rock formations near town. Lucky last day around Alice Springs with beautiful, calm, sunny spring-like weather resulted in Chiming Wedgebill, Banded Whiteface, Western Bowerbird and daytime views of Bourke’s Parrot. At the end of the day, guests were treated to views of Southern Boobook at a roost. This entry was posted in Birding Reports, Red Centre Tour. Bookmark the permalink.